This is one of mine. 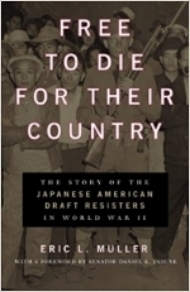 In addition to providing a good short history of the entire episode, it is a comprehensive telling of the story of the prosecutions of hundreds of young Japanese American prisoners in the camps who resisted the military draft in 1944. By resisting, many of them were trying to create a court test case of the lawfulness of what the government had done to them and their families. 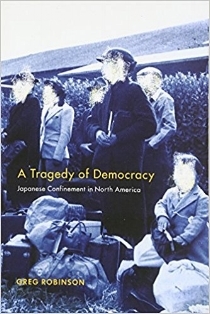 This monograph by Peter Irons is the definitive account of the Supreme Court cases on the constitutionality of mass removal and imprisonment of Japanese Americans. A fascinating story well told. This is an excellent very short overview of the historical episode by one of the scholars who more or less created the field of study. This monograph focuses on the process that the government created in 1943 to try to determine which Japanese Americans in the camps were "loyal" and which were "disloyal." What's unique about this book is that it places the history of Japanese American confinement in the larger context of the North American continent. You'll learn about how the Canadian government removed and confined Japanese Canadians and also about the treatment of the Japanese in Hawaii. This book presents a stunning collection of more than 60 photographs of life behind barbed wire shot by a prisoner in Kodachrome in 1943. These are among the only color images of camp life that exist. Accompanying the photographs are interpretive essays that place the photographs in larger historical contexts and a personal essay by a former prisoner from the camp where the photos were shot. This is the official report of the federal commission that investigated the wartime removal and imprisonment of Japanese Americans. Its work supported the eventual passage of the Civil Liberties Act of 1988, in which the government apologized to Japanese Americans and created a program for making redress payments. Comprehensive and readable.